At Fleischmann Family Dentistry, Our Family Cares For Yours! This place is top notch! Tammy and Jessica at the front desk were so friendly and made filling out the paperwork easy. Sabra who cleaned my teeth was very professional and made for a very positive experience overall. Tooth Colored Fillings, Dental Crowns and Bridges, Dental Veneers, Dentures, and Partials, Facial Esthetics, Implant Restorations for Tooth Replacement, Invisalign. Night Guards and Splints for Bruxism and TMJ/TMD, Periodontal Care and Treatment, Root Canals, Tooth Colored Fillings(Composite), and Tooth Extractions. 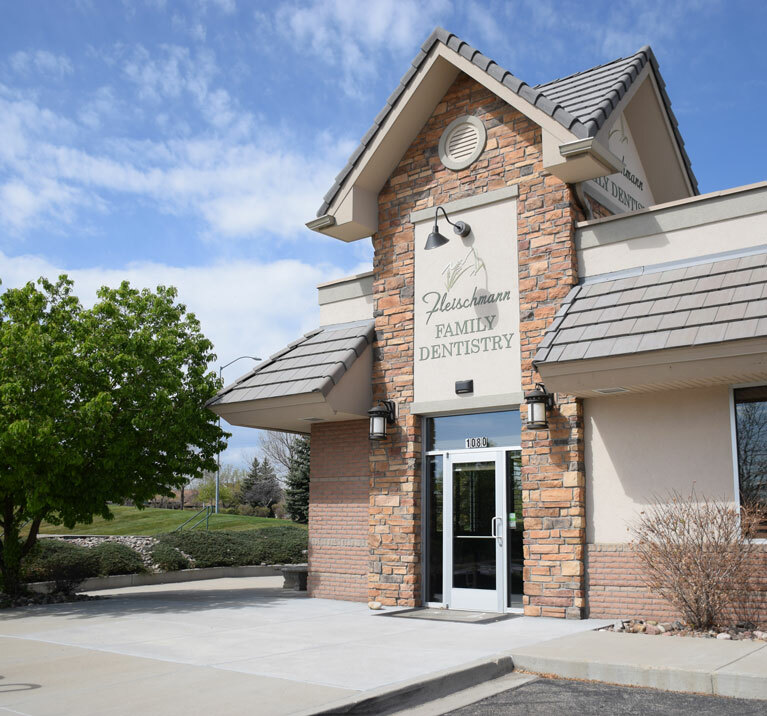 At Fleischmann Family Dentistry, our family cares for yours. Our team care's deeply about the health and well-being of every patient who comes through our doors, from the youngest to the oldest. We believe in preventive care and education for all of our patients and will work hard to empower our patients to become strong voices in their own dental care. We are committed to understanding the needs of our patients and keeping your comfort as one of our highest priorities. The people who make up our dental team are not only skilled and talented professionals – they are also compassionate and warm individuals who take your comfort very seriously. We understand that many of our patients have concerns about dental visits, and some have fear or anxiety related to dental care. This is why we go the extra mile to make sure that our patients’ fears are addressed. From TVs in the ceilings to help provide a bit of distraction to communication about our procedures, we help our patients change their fear of the dentist to comfort and confidence in their dental care. Call us today with any questions. You can schedule an appointment by phone or use our convenient online scheduling form. We can’t wait to hear from you and welcome you to our office where our family is caring for yours.